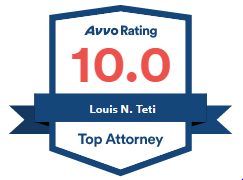 Louis N. Teti represents individuals and businesses in a wide range of estate, business succession, and tax planning matters. He speaks frequently on estate planning, tax planning, estate administration, and philanthropic planning. 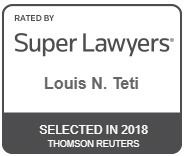 Mr. Teti has been named to the Pennsylvania Super Lawyers list every year since 2005 and has been consistently named one of the Main Line Today’s Top Lawyers. He is a Fellow of The American College of Trust and Estate Counsel (ACTEC). Mr. Teti is a past President of the Pennsylvania Bar Association and the Chester County Bar Association, a past chairman of the Disciplinary Board of the Supreme Court of Pennsylvania, a past chair of the Boards of Trustees of the Foundation at Paoli Hospital and the Chester County Community Foundation, and a past member of the Board of Trustees of Malvern Preparatory School. He currently serves on the Advisory Board of Bishop Shanahan High School. A graduate of Dickinson College (1972), Mr. Teti received his law degrees from Temple University School of Law (J.D. 1976, LL.M., Taxation, 1981).